Outfits: are you crazy about fashion? What to know what is in fashion? Discover new ways to mix and match your outfit to look original and comfortable every day. I love new ideas and have eclectic personal style. Let me share it with you! 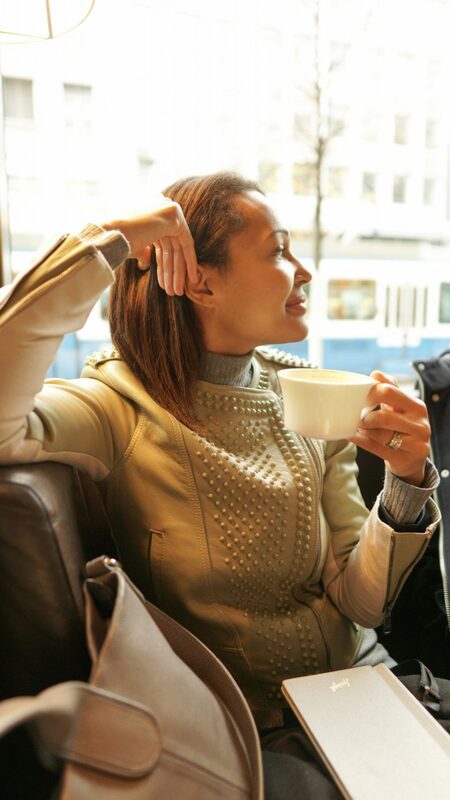 Here is a selection of my favorite pink sweaters that will keep you warm and chic, especially on Valentine’s Day. I know that you may be more interested in purchasing something for your loved one but on the other hand, we should not forget about ourselves. And the Valentine’s Day guide for him will follow. Stay tuned! Scrunchies, velvet headbands and ear muffs were so 80’s until they took over the runways in the last years. And with them pearl encrusted hair pins, clips, jaws, and brooches. Hair accessories are back in all their glory and if you think you’re too old for them, think again. 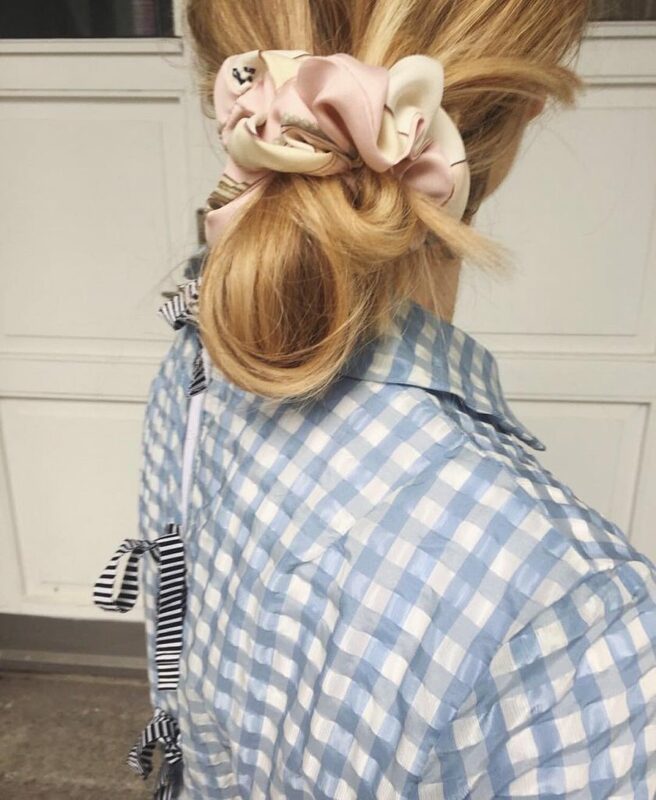 This season you will meet in the streets luxury scrunchies made of vintage Hermès silk scarves, Chanel hair clips, Louis Vuitton leather hair hairpins, and Chanel bow headbands. When I was growing up, body positivity and acceptance were no where to be seen. Women’s magazines were filled with models that all looked the same: Caucasian, skinny and bored. That was the standard of beauty in the 90s’ and I didn’t fit in. I began to believe that if I had to change myself to be happy. I ended up with an eating disorder, skin whitening cream, and acne breakouts. Accepting yourself the way you are is one thing. Find your size and dress fashionably is another. That’s when Happy Size comes handy. This fashion label has been designing modern and stylish clothes for men and women of any size for twenty years. For this fall I picked these skinny black jeans and long-sleeve stripe t-shirt. Parisian chic that is not only stylish but comfortable and will look great with high boots and heels. I got so busy with planning, organizing and stressing about it, that I forgot to enjoy the process. When Alex’s father passed away, I couldn’t stop thinking about life. How short and impermanent it is. And we forget to enjoy every moment. We stress about where we want to be, who we want to become and what we want to have, that life runs through our fingers and when we wake up, it’s late. Life is all about memories. Now, when I start stressing about something, I ask myself: “Am I going to think about it when I am dying?” And 100% of the time the answer is NO! I will not think about work deadlines and power games. In the last seconds, before I die, I will think about my family and the love I felt towards those who matter. SO as much somber as it may seem, it’s an exercise that helps me to keep perspective.